Aren’t we lucky Isabel Marant designs the best knitwear and jerseys ever? That’s how she started her fashion skills! She then turned towards shoes and perfectly made the cut in the fashion industry! I’ve been following this designer for years now and I will be forever obsessed with what she makes. I’ve seen her boutique in Paris but I actually never walked in it. 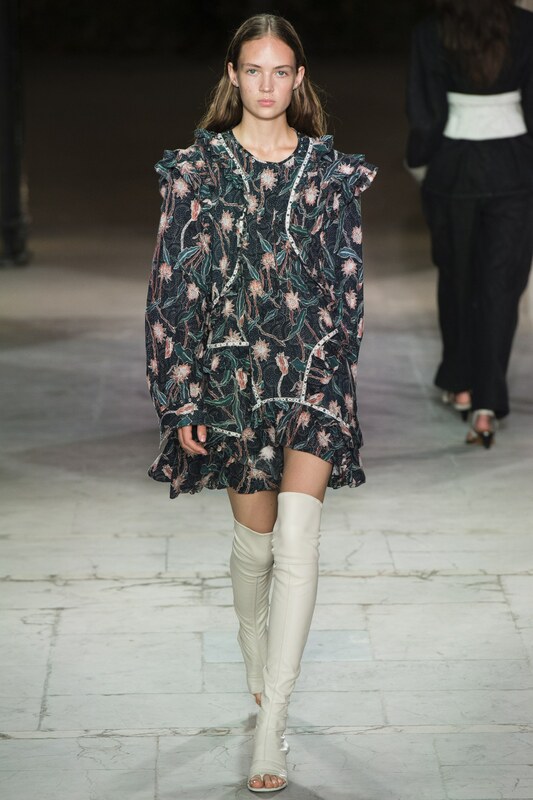 My fave looks from this collection were super hard to chose because I mostly loved everything Isabel Marant designed. 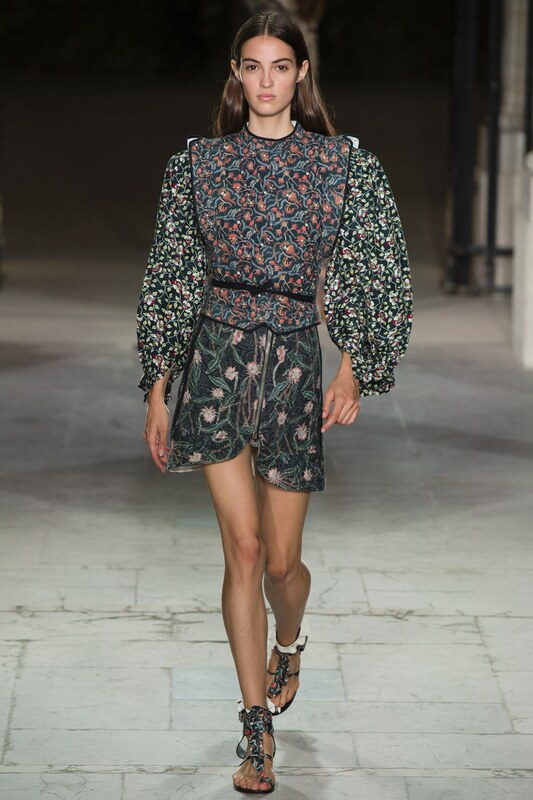 I had to pick the pictures you see above because florals are at the end of the day, one of the best print for the spring and summer season. It goes with everything, it gives a feminine touch to your outfit and obviously gives the outfit a bit of fun! Are you into floral patterns and fabrics? I seriously want everything! Do you? As for the shoes, I mean, those high heels white sandals need to be in my closet right now! And I wouldn’t mind having the other ones as well hihi! If you haven’t seen the runway show, you better not miss it! Next Next post: Well, Hello There Amsterdam! Do you mind if I quote a couple of your articles as long as I provide credit and sources back to your weblog? My blog site is in the very same area of interest as yours and my visitors would genuinely benefit from a lot of the information you provide here. Please let me know if this alright with you. Cheers! A powerful share, I simply given this onto a colleague who was doing just a little evaluation on this. And he in reality bought me breakfast because I found it for him.. smile. So let me reword that: Thnx for the treat! But yeah Thnkx for spending the time to discuss this, I really feel strongly about it and love studying extra on this topic. If potential, as you become experience, would you mind updating your weblog with extra particulars? It’s highly helpful for me. Huge thumb up for this blog publish! Thanks for any other magnificent article. The place else may just anybody get that kind of info in such an ideal way of writing? I have a presentation subsequent week, and I’m on the search for such info.